I'm so happy to be back to blogging after a long week off! My Manicure Monday is going to feature my recent Wedding Nails!! 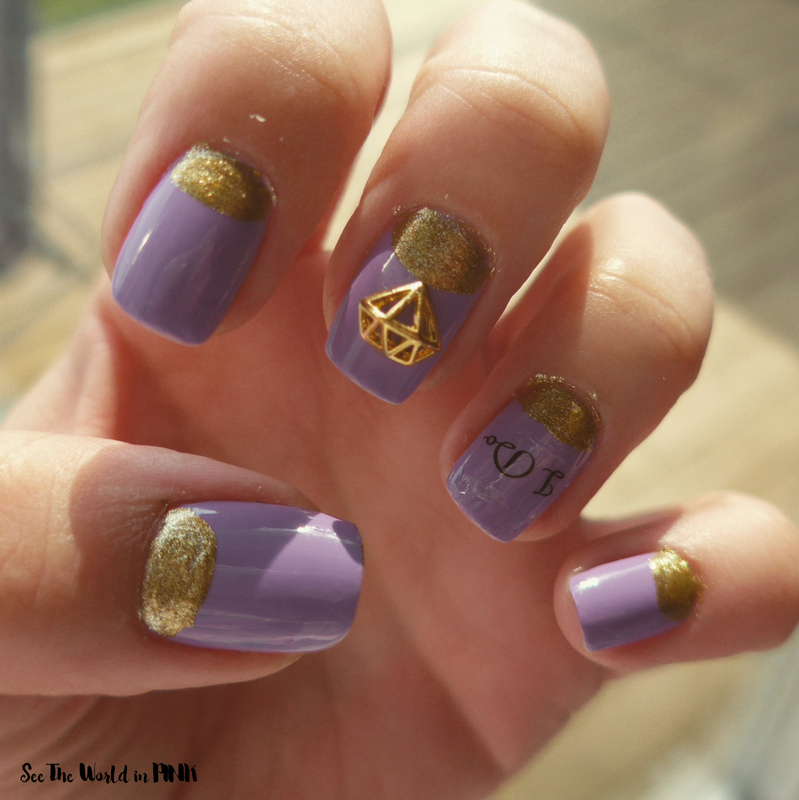 I absolutely love how these turned out! They might be a little too blingy for some people but they were perfect for me and my wedding! I just started documenting my favourites lat month, and already I am having trouble narrowing it down to the Top 5 for this post!! I use so many products constantly; but, it is fun to feature a few I have truly been loving!! Hourglass Ambient Lighting Powder in "Luminous Light" ~ $52.00. Create the perfect illumination for your face with Hourglass Ambient® Lighting Powder. Infused with the innovative Photoluminescent Technology, each finishing powder captures, diffuses, and softens the look of the skin. The micron-size, color-correcting particles refract light and create transparent coverage, filtering out harsh light and refining the appearance of the skin. Hello my lovely readers - I'm a taking some quick holidays!! Just a heads up, there will be no posts from Saturday August 22, 2015 to Sunday August 30, 2015 - posts will resume on Monday August 31, 2015! I am getting married on the 29th and want all this time to make my big day extra special and stress free!! Keep up with me on Instagram and be ready for a ton of posts on the 31st!! Recently, I have been complaining about the lack of Korean Beauty Subscriptions available in Canada (I will note that my fiance and wallet are not complaining about this though...). Up until now, we only have Beauteque BB Bag - don't get me wrong I liked the subscription, but I also like to have options! Mishibox is a newer Korean Beauty Box subscription based out of the U.S. - their first box shipped in June. I was so excited when they announced that they would be shipping to Canada for August! I obviously signed up right away! "Our mission at MISHIBOX (pronounced "me-she") is to help you explore the exciting (and sometimes very cute) world of Korean beauty. We want to help you discover your favorite products in a convenient, effortless, and affordable way. We will send you a curated box with a combination of 4 - 6 deluxe-sized samples and full-sized Korean beauty products from a wide range of Korean brands. We are all about finding the best Korean beauty products for you to try from both brands that you already love and the brands that we think you will love." Mishibox is $19.99 monthly + $8.95 shipping to Canada. Mishibox has noted that they are currently trying to secure a lower shipping rate to Canada! The box was nicely packaged! Eeeek - I love these Tony Moly pandas!! I JUST WANT ALL THE PANDAS!!! This box also included a detailed product card (that I forgot to take a photo of). I have been going through major Korean beauty box withdrawls the last few months! I liked Beauteque BB Bag but needed something a little bit more - in comes in Peach and Lily with the Seoulcialite 2.0 Box!! Just what I needed!! Peach and Lily is a korean beauty product website and once in a while they release a special edition beauty box. This is not a subscription box, but a 1 time purchase - when these boxes are released, they sell out very fast!!! Peach and Lily Seoulcialite 2.0 was $49 + $25 shipping to Canada (I know this is more than what I would normally pay for shipping, but this box promised a value of over $150 and the 1.0 Box was so highly reviewed!) I could not pass up this box! Time for another Wine + Mask Wednesday!! This week my theme is "Silk". Ah - a silk mask sounds totally indulgent! One my favorite parts of blogging is that I get to help support new businesses - especially new Canadian subscription companies! I always get so excited when I hear of a new Canadian box. the subscription box businesses is very competitive and I love helping to put these companies out there!! Bakers Krate is a subscription box company that features hand crafted baked goods produced by Canadian dessert experts. At Bakers Krate, we want everyone to discover Canada's tastiest and greatest desserts, no matter what province you live in! The Bakers Krate Team scours the Great White North looking for the best desserts to satisfy your sweet tooth! Everything is hand crafted by Canadian dessert experts. We only share quality gourmet desserts, made with utmost care and love. Made in one province, and sent to another. Enjoy local tastes and delicacies from other provinces, while staying in the comfort of your own home! Packaged and sent straight to your door, freshness guaranteed! Dare to go on a dessert adventure with us, and discover all the sweets that this country has to offer! Bakers Krate Sweet Express ~ $19.99 + $9.99 shipping across Canada - this box is the main feature of Bakers Krate. This box contains 6 or more gourmet desserts delivered to you! To receive the month's box, you need to sign up by the 20th of the month. Bakers Krate offers the ability to skip a month in the subscription (I love this - not many companies offer this option)! I'm happy with the packaging - it keeps everything separate and safe! ColourPop Cosmetics - Ultra Matte Lip and Sheer Lippie Stix Mini Shopping Haul and Swatches! I have never shopped at ColorPop before and this company is so highly reviewed! There was so much hype about the new "Ultra Matte" lip colours, that I totally jumped on the bandwagon! Also, right after they released the Ultra Mattes, they also released some "Sheer" lippie stix and I was excited for those too! Wooowwweeee - this week has been busy!! I am looking forward to this weekend! Eeeeek!! New nail stickers!! I got these "I Do" stickers for the wedding nails I have planned! I recently did a drugstore shopping haul and bought the well reviewed new mascara: Covergirl The Super Sizer by LashBlast Mascara Review. Covergirl The Super Sizer by LashBlast Mascara ~ $8.99 ~ The Super Sizer by LashBlast Mascara gives you 400% more corner-to-corner volume for full, fanned out lashes. Our amazing Lash Styler transforms even small lashes— just twirl as you apply it to your lashes for an instantly Super Sized lash look. Opthalmologically tested, suitable for those who wear contact lenses. Time for another shopping haul!!! This time I took a little trip to The Real Canadian Superstore and London Drugs! I didn't have anything in mind to buy, I just went and browsed. Joe Fresh Mask Age-Defying ~ $2.00 or 3 for $5.00. Peel-off mask provides deep-pore cleansing to leave skin feeling tighter and looking younger. Sorry that I have been consistently inconsistent lately with my posts!! Yikes - I did my nails yesterday! Last week I used some nail stickers which were adorable (see here), but they did peel my nails a little bit as they came off. I really need my nails to be in tip-top shape for the wedding in 2 weeks so I am giving the nails a little break! 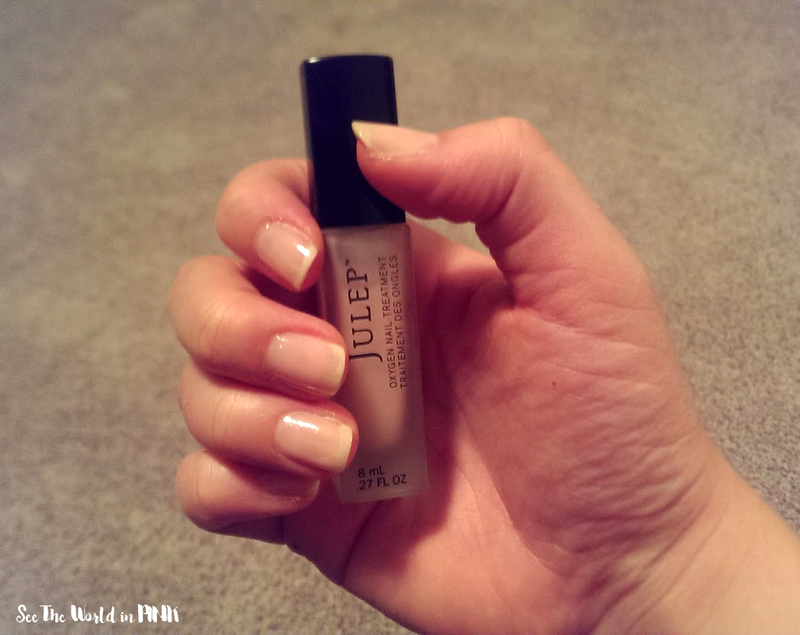 Julep Oxygen Nail Treatment ~ $18. Complete nail care and make-up all in one bottle. Made with a patented Hexanal formulation, nails are restructured to a stronger, thicker, and smoother condition in just one stroke. Advanced plant stem cell complex provides anti-aging benefits, while ground-breaking oxygen technology forms a nonocclusive film on the nail, proving resistant to water penetration and improving the permeability to oxygen. Results are nails that are structurally stronger, and less prone to breakage and splitting. I love that after only a 4 day work week, Friday comes so quickly!! Here is some shots from this awesome family hike we went on this past weekend! 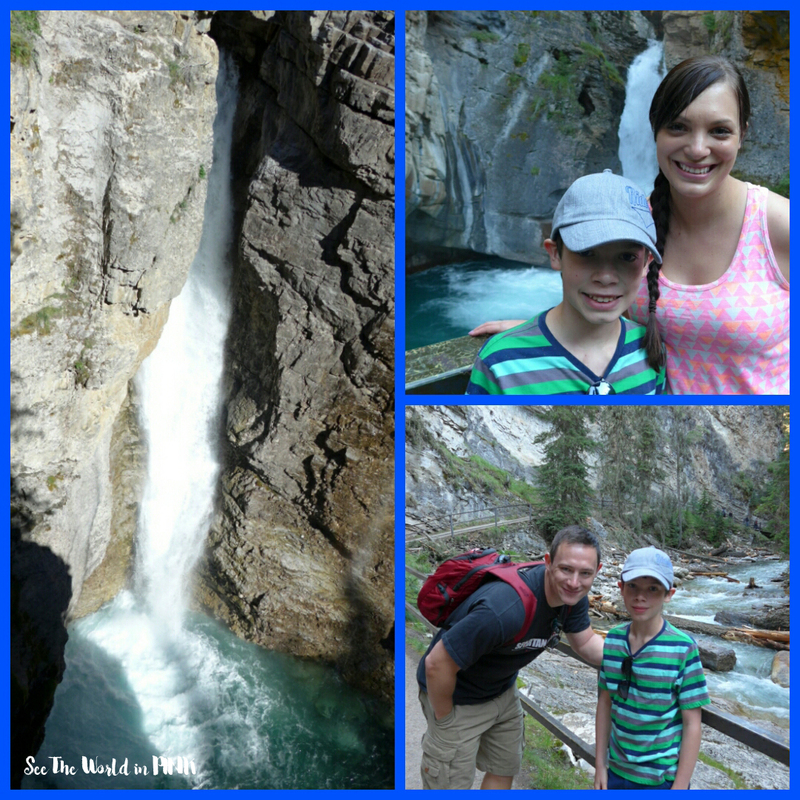 We went to Banff National Park and hiked Johnston Canyon! The theme for this week's Wine + Mask Wednesday is "bubbly"! Bubbly wines and masks are both so fun! Bubble masks are too fun! I didn't get in to k-beauty until last year when I started getting Memeboxes and know I really love k-beauty goodies! 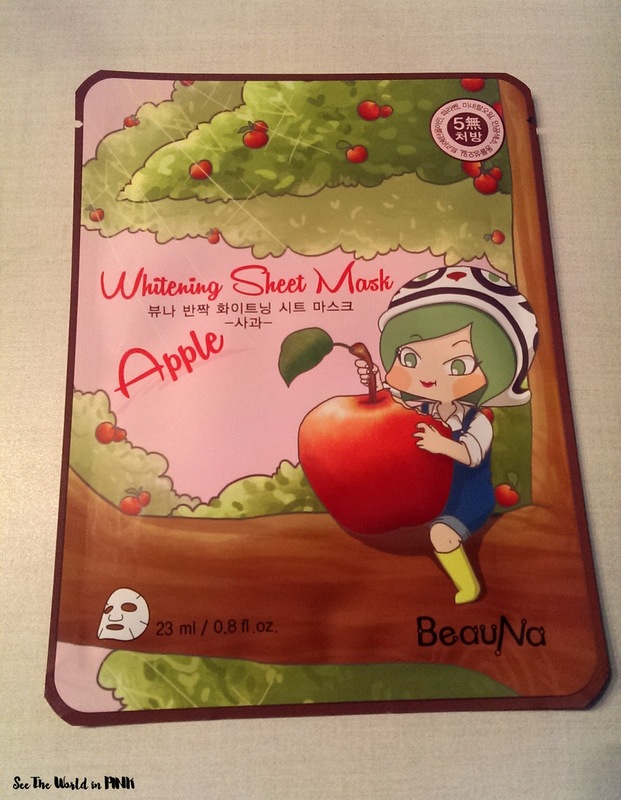 I have been more interested in the Korean Skincare products and have only tried a few makeup products! 1. Ampoule Intense Complex™ protects the skin barrier, leaving your skin moist for 24 hours. 3. The excellent formula of the cushion absorbs quickly to the skin, allowing a buildable layer. So, while I did my nails last night it got late - I had to decide between blog post and bed (clearly bed won) and that make's me a day late posting my nails!! 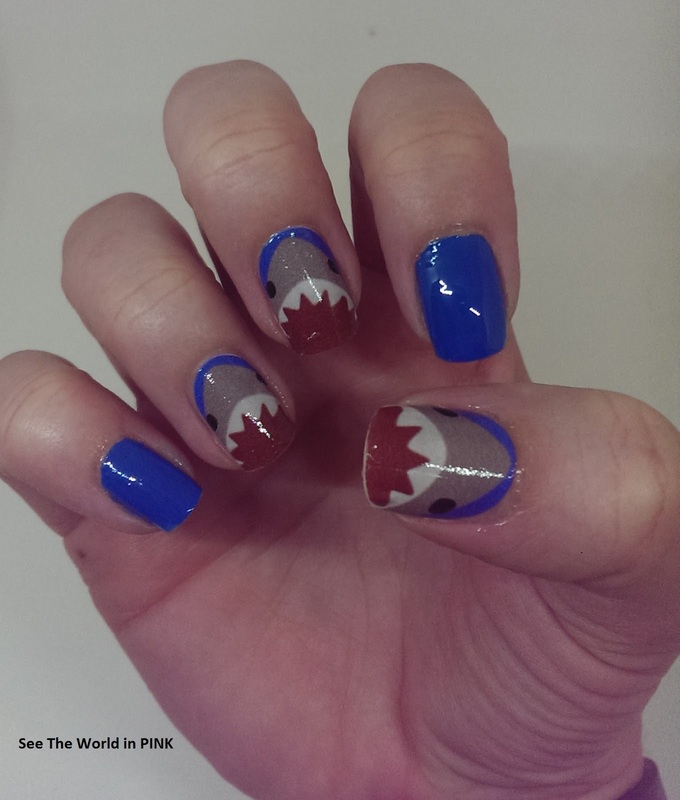 This week I went with Shark Nails for my Manicure Monday! I had to use my newest nail wraps! I hope you guys like the new Feature Post - my Monthly Favourites ! I am going to pick 5 products that I have been loving each month!! Becca x Jaclyn Hill Shimmering Skin Perfector® Pressed - Champagne Pop ~ $46.00. A limited-edition, creamy, luminizing powder to illuminate the face with a soft, pearlized glow. Most of you know by now that masks are a huge part of this routine and since I have come to love this routine, I have incorporated so many new masks in to my routine! I love trying different brands and different types of masks! I started this post a few months back as a way to review more masks on my blog! Hope you enjoy reading about all the masks I have tried! I consider the Month of Masks my Mask Empties post, because I do not feature my sheet masks in my monthly empties post! 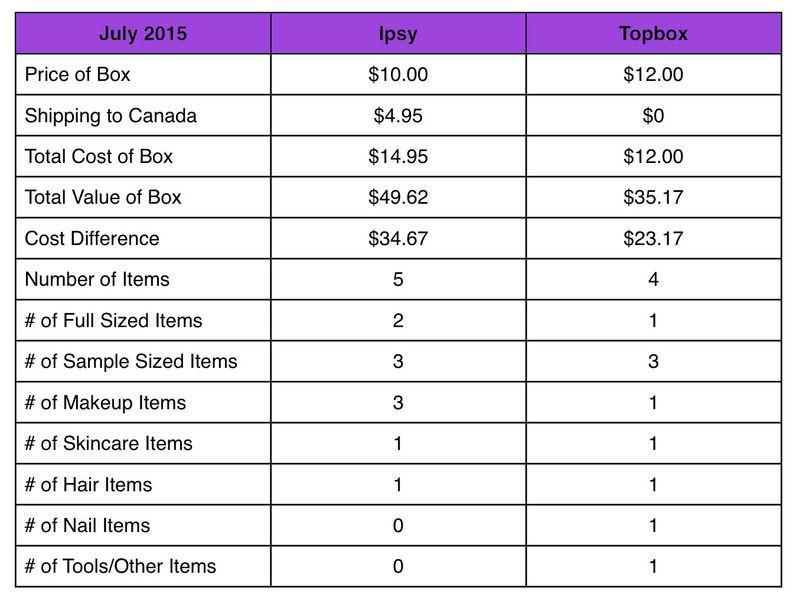 This is my first month just comparing Topbox and Ipsy - June was my last month of Birchbox Canada and May was my last month of Beauty Box 5.